There will be two meeting points and times. Meet at the Worthington Hills Parking Lot at 10:15. We will leave promptly at 10:30. Or meet at the ball diamond in Whetstone Park (just south of the foot bridge that crosses the Olentangy River and 315) at 11:00. This will be a no drop, casual city ride which will take us through two of Clintonville's scenic ravines, the North Olentangy Trail, OSU campus, Victorian Village, the North Market, Franklin Park, German Village, the South Olentangy Trail, and downtown Columbus. Don't forget to bring a lock. We will be stopping at various locations to eat and drink. This Friday is the Halloween critical mass followed by our annual party at Third Hand. 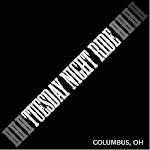 Critical mass: Meet at the State House lawn downtown (41 S High @ Broad) at 5:30. The ride usually starts around 6 and goes for about an hour at a relaxed pace. Bring your costume for this one. Don't worry - we'll stop for you if your wig or cape gets caught in the spokes. Halloween party: Keep your costume on and come to Third Hand Bike Co-op (174 E 5th Ave). The party starts at 7 and goes till ??? We'll have drinks, music, and games (costume contest, bike toss). There will be a potluck and mellow party at the Spore next door.